What does it mean to remortgage your property? Remortgaging allows the owner of a property to switch their existing mortgage to a new deal with either their current mortgage lender or an alternative provider. Deciding to remortgage does not mean you’ll have to move house, instead, your new mortgage will be secured against your current property. Why choose Thorneycroft Solicitors to help you remortgage? A mortgage can last many years and is a major financial commitment. The choices you make when remortgaging are equally as important as when you took out your original mortgage agreement. 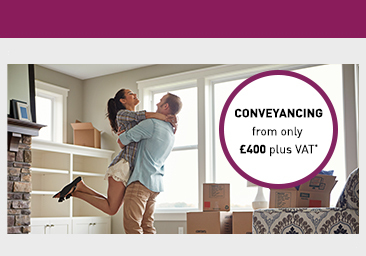 If you’ve decided to remortgage your leasehold or freehold property, it’s vital that you have a specialist conveyancer on hand to ensure the remortgaging process is undertaken in a professional and comprehensive way and that your new mortgage is registered correctly with the Land Registry. The remortgaging process can be very confusing, but our conveyancing solicitors will ensure that your remortgage runs smoothly from start to finish. We will take the drama out of the process ensuring there are no hidden costs and providing you with clear explanations of the process at each stage. If you would like any more information about how we can help you remortgage your property and perhaps get a better deal, give us a call on FREEPHONE 0330 058 0118, or you can complete our simple enquiry form and a member of our team will get in touch at a more suitable time for you.